Find out which is the best commercial from Super Bowl LIII. Last night the NFL aired their Super Bowl game. Many watched to see if the Patriots would be the Rams (Spoiler: they did). Many more watched the game for the commercials. They didn't disappoint. Watch them all below and then read on to find out find out which genre trailers ranged from good to great. You can watch the whole thing or use the embedded clips below to jump to your favorite. A new TV spot for Robert Rodriguez' adaptation of the classic mange is on fire. It shows the heroine, played by Rose Salazar fighting her way through Iron City. This James Cameron produced movie highlights two things: fights and 3-D. But it doesn't do much to convince us that the story is worth watching. It's too bad because it could just be the best live-action manga of all time. The third season trailer for the Handmaid's Tale evokes a classic Reagan-era commercial. It throws you for a loop thinking it's all about empowering women before showing the darker side of their world. This spot perfectly sets up the next chapter in the sweeping saga. Unfortunately, Hulu hasn't announced when it starts, but it looks like a winner. Talk about a tease. The 10-second spot isn't too much to go on and it's not for an upcoming show. Discovery is already on its fourth episode. But it does an interesting job highlighting the addition of Spock played by Ethan Peck. The trailer for Hanna opens with babies and moves to a little girl showing some serious fighting cred. This new Amazon show about a mysterious girl protecting herself and her father is deeply moving. The show officially starts in March, but they're giving us 24 hours to watch the pilot before then. The Captain Marvel trailer opens with the tagline "Higher, further, faster" and it goes to 11 from there. Lots of great emotional moments, a smile and everything you need to convince you to go to Fandango and buy you're opening day tickets. 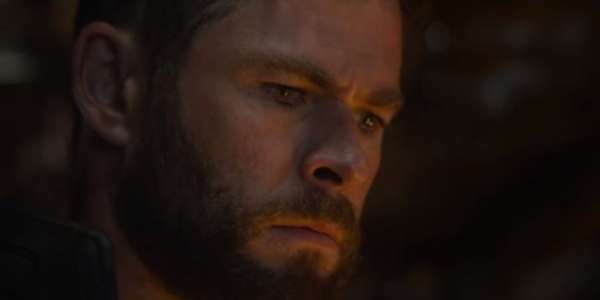 The trailer everyone was waiting for is for Avengers: Endgame. It doesn't disappoint by cramming an insane number of scenes into the 30-second spot. We get shots of a world where life without half of humanity is bleak and Liberty Island is surrounded by boats. The heroes try to move on but come back to fight. For all the analysis it's worth noting that the marketing team isn't allowed to use anything past the first twenty minutes of the movie. So all the spoilers are in the opening and there are lots of surprises left. Is it April yet? Imagine a typical Super Bowl fan watching and seeing the video distort to black. Then switching to a mind-blowing promo for a TV show. Jordan Peele shows us his best deadpan as the host and mirrors Rod Serling amazingly well. There's also an interesting recognition that many would be watching it online or digitally since it doesn't fade to static, but acts like a dropped signal. Lots of people checked their wifi for this one. Peele puts the viewer into the Twilight Zone and perfectly sets up the wonderfully twisted new series. From robot women to Iron Man the 53rd Super Bowl commercials were amazing. Get ready for a great year! Which is your favorite commercial? Which was your least favorite? Let us know in the comments below!